Full of warm rich colours, the glory and vitality of ancient Celtic art is faithfully reproduced in these stunning designs which are most enjoyable and straightforward to stitch. All the kits from the smallest to the largest are of the highest quality and are beautifully packaged and come supplied with ready organised Anchor threads, clear laser printed charts and full instructions. 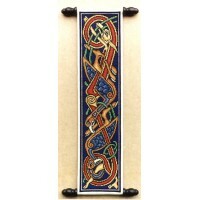 Celtic Bell Pull Cross Stitch Kit From Cambriana Designs. 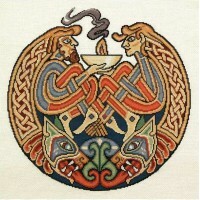 A traditional celtic design faith..
Celtic Birds Cross Stitch Kit From Cambriana Designs. 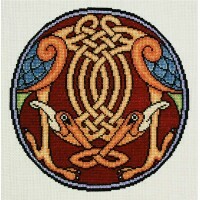 These classic intertwined Celtic Bird..
Celtic Book Mark Cross Stitch Kit From Cambriana Designs. 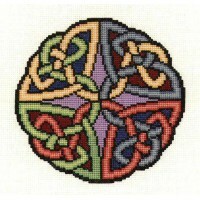 This traditional celtic des..
Celtic Cross Cross Stitch Kit 14 Count Edition From Cambriana Designs. 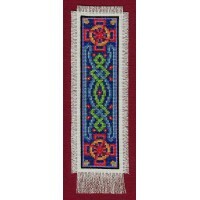 Stitched o..
Celtic Cross Cross Stitch Kit 16 Count Edition From Cambriana Designs. 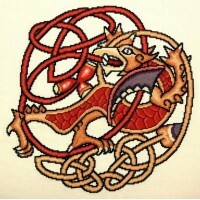 Stitched o..
Celtic Dragon Cross Stitch Kit From Cambriana Designs  The vitality of ancient c..
Celtic Flame Cross Stitch Kit From Cambriana Designs. Symbolising eternal love, devotion a..
Celtic Knot Cross Stitch Kit From Cambriana Designs. This traditional celtic knot depicts a..